Are you feeling overwhelmed with too many things to do? Do you have days where you feel like you’re dragged in 100 different directions? Do you often lay in bed at night thinking of all the things you didn’t get done that day? Yep. Me too. As moms, we have a lot of demands on our time and it can be hard to figure out a system for how to get things done. Let me preface this by saying that I am no productivity expert in any way what-so-ever. I’m a mom just like you. I have errands to run, kids to drop off and pick up, groceries to buy and people to call just like you. I have days I get zero done and days when I feel if I get the dishwasher emptied, it’s a good day, just like you. But then there are those days where I get items checked off my to-do list and I feel energized, relaxed and at peace. 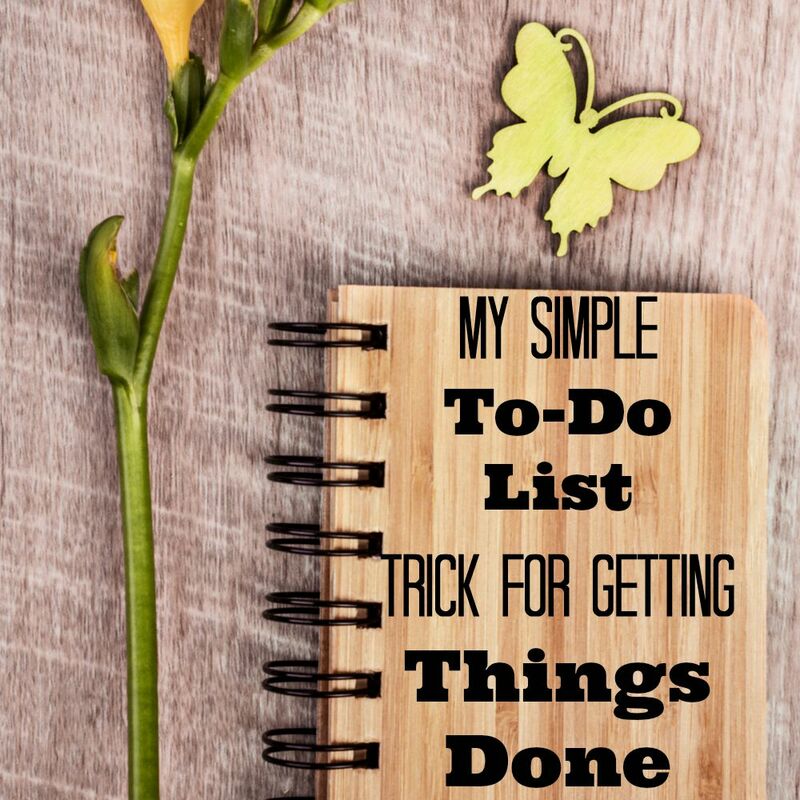 There’s a simple trick I learned many years ago for getting things done. When I say this is a simple trick, I am not joking. I’m sure a lot of you have heard about this or even implement it yourself. But, years ago I didn’t know about this and once I started implementing it, it really was life changing. I’m not trying to be all dramatic when I say life changing. It really was…life changing. Yes, that’s it. Here’s how it works. In a small tabbed notebook similar to this one, I have a section for Work and a section for Home. At the beginning of each section I have what’s called my Running To-Do list. What goes under this section? 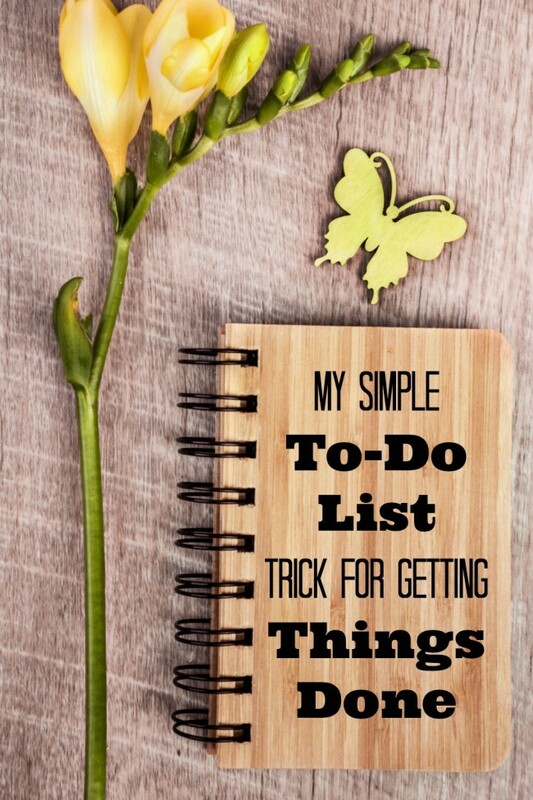 Some examples of things that might go under a running to-do list for the home includes organize coupons, order that book for class, schedule dentist appointments or take items to donation facility. For my business running to-dos I have things listed such as watch that video on SEO, add beauty ad to sidebar and work on e-book. These are all things that don’t need to be done TODAY, but throughout the week. A few pages after my Running to-do list section in my notebook, is my daily to-dos. This is a no-brainer. These are things that must be done today. Under my home daily to-do list I have things listed such as drop off box at UPS, upload documents for son’s school, pick up shirts from dry cleaners. For my business daily to-dos, I have things listed such as send Amy email about guest post, shoot pictures for J. Jill campaign and shop for Schick campaign. At the end of the day if there’s anything that didn’t get done on my daily to-do list, it gets moved to the next day’s daily to-dos. It’s simple right? I love this system so much and with summer, I have fallen off the wagon a little when it comes to how to get things done. But August is a new month and a new productive me! I can now mark off “Write that Article About Your To-Do List Strategy” off my to-do list. Feeling…accomplished.